CAD-CAM software has come a long way in the last 20 years in terms of development. At the same time CNC machining has evolved. 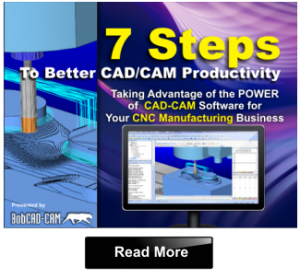 Here is a quick look at the amazing history of CAD-CAM programming and machining automation. Developed in the 1950s, early CNC machines used a punch tape prior to the addition of computers and the modern CNC Controller. The early technology proved it could reduced costs, but was so different from existing manufacturing systems that it took a considerable amount of time before manufacturing shops would catch on and begin incorporating the technology. To promote these NC machines and the development of CNC, the U.S. Army bought 120 NC machines and loaned them to various manufacturers so that they could familiarize themselves with the idea and prove that CNC machine technology would increase productivity. NC machines were more widely accepted towards the end of the 1950s, but there was a hindrance. No universal code existed for NC machines so every individual manufacturer was pushing for its own language for defining NC machine programs. This paved the way for the first numerical control programming language was developed at the MIT Servomechanisms Laboratory in the late 1950s. With organization taking place, CNC controller technology could be finally begin real development to bring automation and these new machines together in a standardized way. 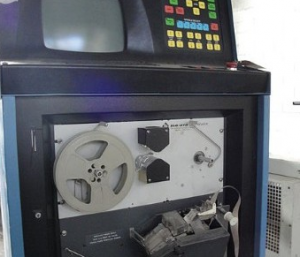 Later, BTR units (Behind the Tape Reader) were popular to translate the paper tape punch system into a usable NC Code that was now somewhat universal. This became G-Code. 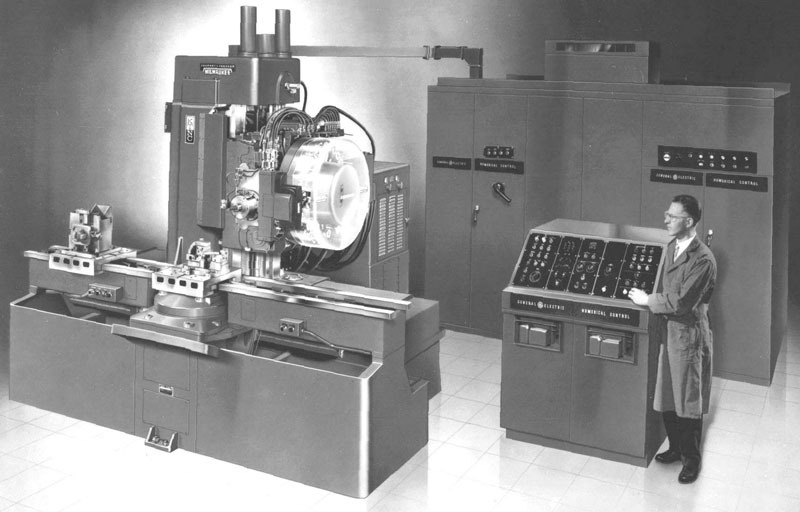 Because employment costs in most Western countries were rising by 1970, CNC machining technology was becoming more and more accepted due to it’s reduction in costs and the speed in which parts could be made. Having paved the way in the previous decade for CNC technology, CNC began to replace older technology such as hydraulic tracers and manual machining. In addition, the 10 largest CNC companies were all based in the U.S. in 1971. By 1987, only Cincinnati Milacron remained in the running, and they were in 8th place. The North American manufacturing industry needed change. Moving forward to the early to mid 90’s, CNC shops were busy retrofitting manual machines with motors, drivers and PC Based Controller turning them to full CNC. Because of this there was a boom in companies that offered CNC retrofitting services. Thus, opening up the door for manufacturers to speed up productivity and allowing them incorporate CAD-CAM software to further streamline the CNC machining process. Throughout the 90’s advancements in hardware technology continued to pave the way for CAD-CAM software development as well as allowing shops to take advantage of software because of falling prices. By the late 1990’s CAD-CAM had been developed to provide complete 2 & 3 Axis CNC programming technology. 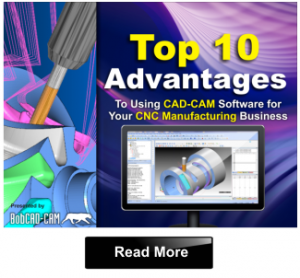 Coming all the way forward to 2014, the CAD-CAM Software market has seen its fair share of expansion and contractions, companies buying other CAM providers and more. By the end of the 90’s, costs for CAD-CAM software had been steadily dropping which allowed more and more shops to add it into their processes. 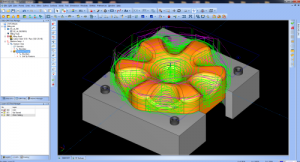 In addition to this the CAD/CAM market was exploding because of the need to automate and streamline CNC programming. In fact, CAD-CAM was becoming more and more efficient and able to take advantage of new developments in CNC machine tools. BobCAD-CAM has been there through it all and has evolved into one of the worlds leaders in CAD-CAM technology. With machining technology for 2, 3, 4 & 5 Axis CNC programming, the software has become modular allowing shops to grow as needed to keep costs down. With High Speed machining for 2, 3, 4 & 5 Axis part programming, advances in roughing and finishing machine operations and the incorporation of advanced simulation into these products, manufacturers at every level down to the hobbyists have options to program their parts faster and easier. The affordability factor is simply an added benefit. Download a Free CAD-CAM Demo HERE and see just how far CAD-CAM technology has advanced for manufacturing shops the world around.